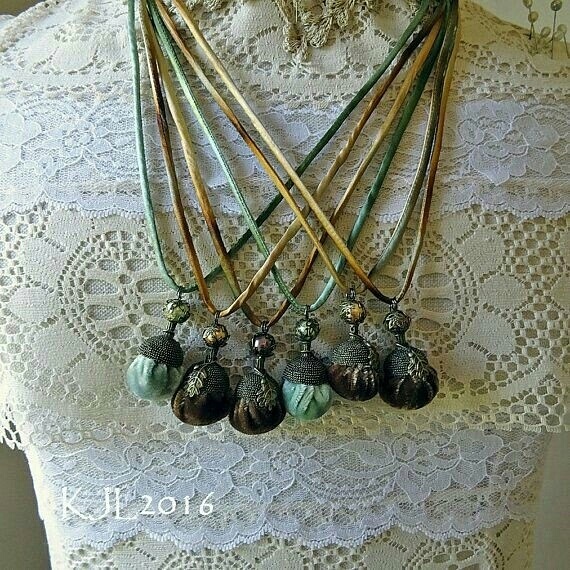 hand-dyed silk velvet acorn necklaces. Dear Kim, they are so adorable, little pieces of beauty, and so much work, in them ,just lovable !! Oh ... these are too lovely!